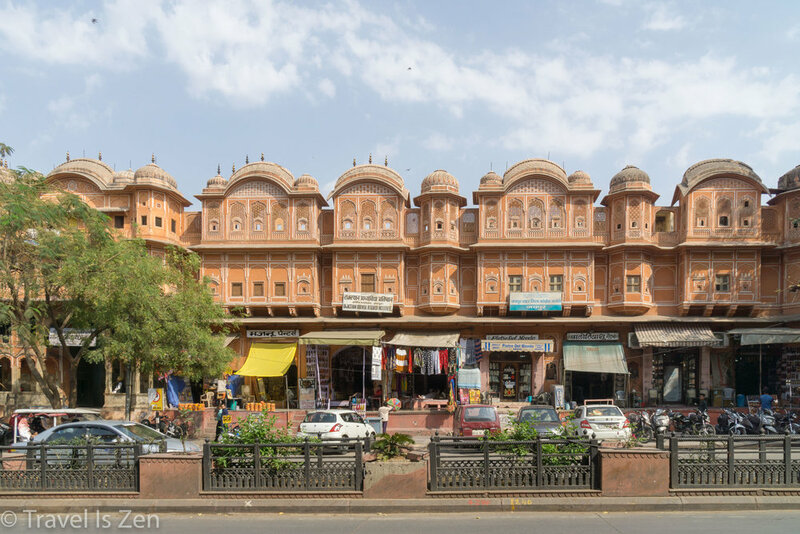 Jaipur is the capital city of Rajasthan in Northwestern India. 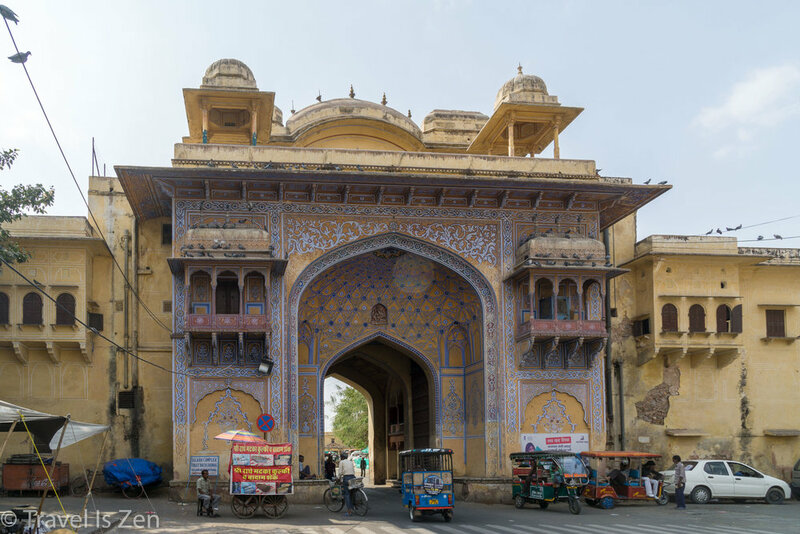 It is also the nation's first planned city, founded in 1727 by Maharaja Jai Singh II, ruler of the Amer Kingdom and renowned mathematician and astronomer. The Amers were allied with the Mughal Empire through marriage beginning in 1561 AD. Amer kings (Rajas) were prestigious within the Mughal court and prospered. 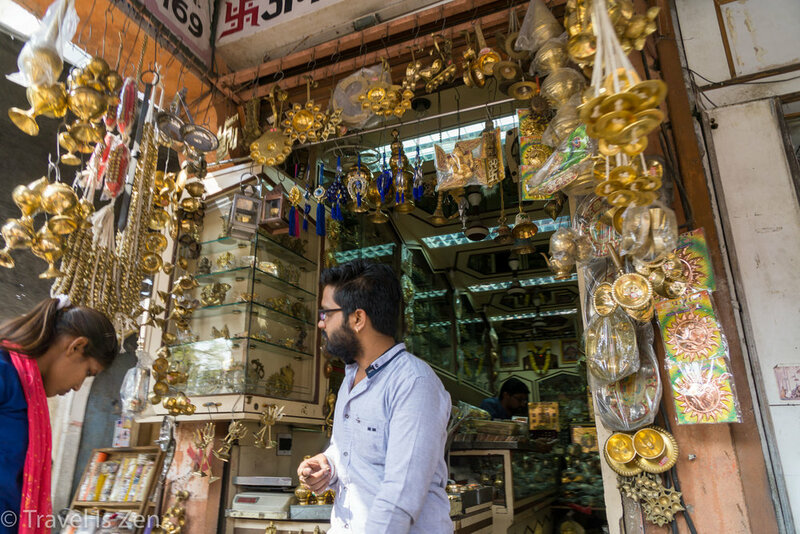 When you can finally make your way through the dusty congested streets, haggle a reasonable taxi fare, arrive at a destination sweating profusely, and wiggle your way through a mosh pit of hagglers and beggars, Jaipur has many beautiful sites. It's getting there that's exhausting. Before his death, Mughal Emperor Aurangzeb asked Jai Singh II to revise the Empire's calendar and astronomical tables. 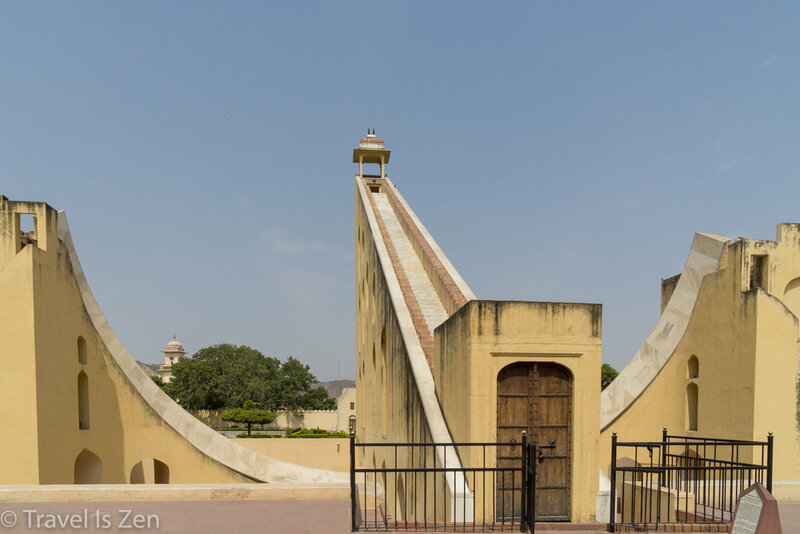 Between 1724-1730, Jai Singh II built five observatory sites across northern Indian, in Jaipur, Delhi, Ujjain, Varanasi, and Mathura to compile astronomical data that would predict the time and movement of the sun, moon, and planets. 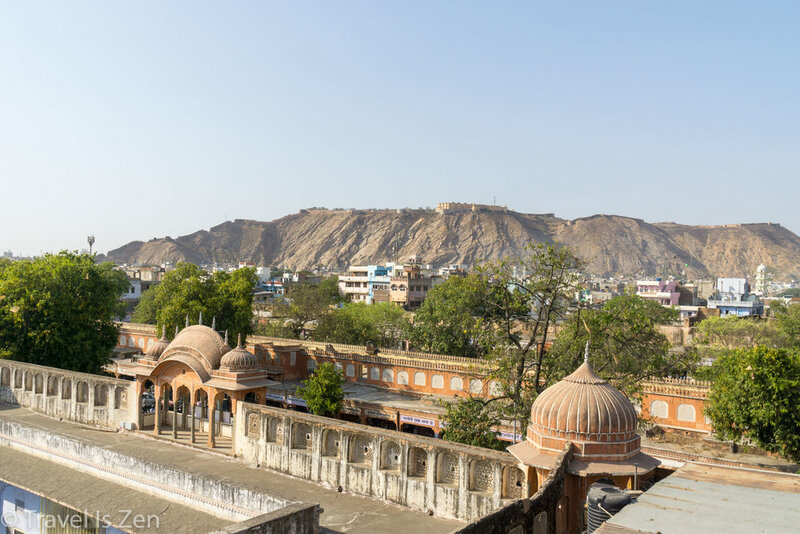 Janta Mantar in Jaipur is for science geeks! 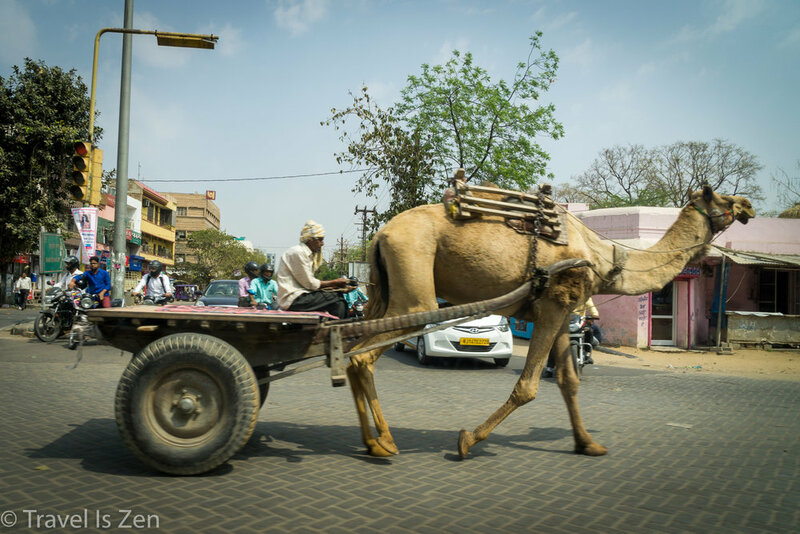 It was the first time we fully appreciated the burning hot sun of Rajasthan, as the sun's movements across the enormous instruments helped explain how they were used. Through well-detailed written descriptions on every instrument, we received quite a new astronomy vocabulary. By the end of the day, we were dropping words like azimuth and celestial interpolation with ease. The precision of these instruments is astounding! Some of them record celestial events during the day and others are used at night or on cloudy days. 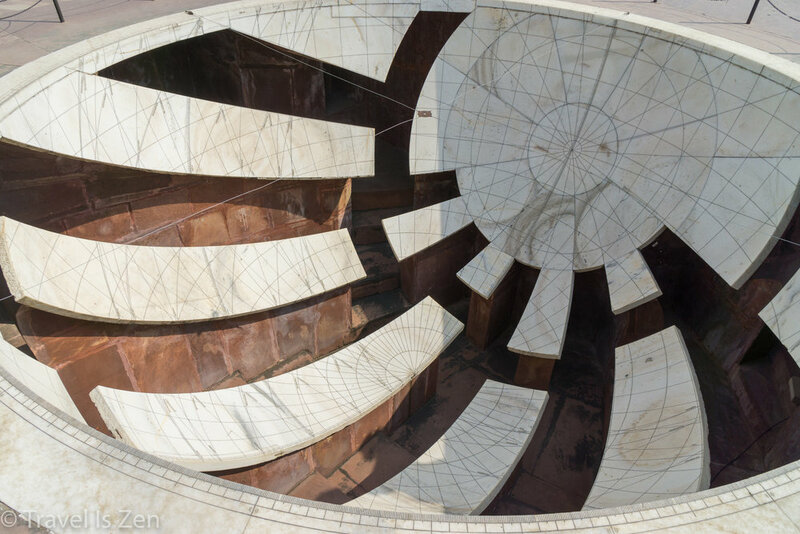 Quick tip when visiting Jantar Mantar: The instruments have detailed written explanations in English. It is not necessary to rent the audio tour (as we did) because it covers the exact same information. Some of the information is highly technical, however, and we could have benefitted from having a tour guide for clarity. We lurked on the presentations of some of the group tour guides and were impressed with their knowledge. 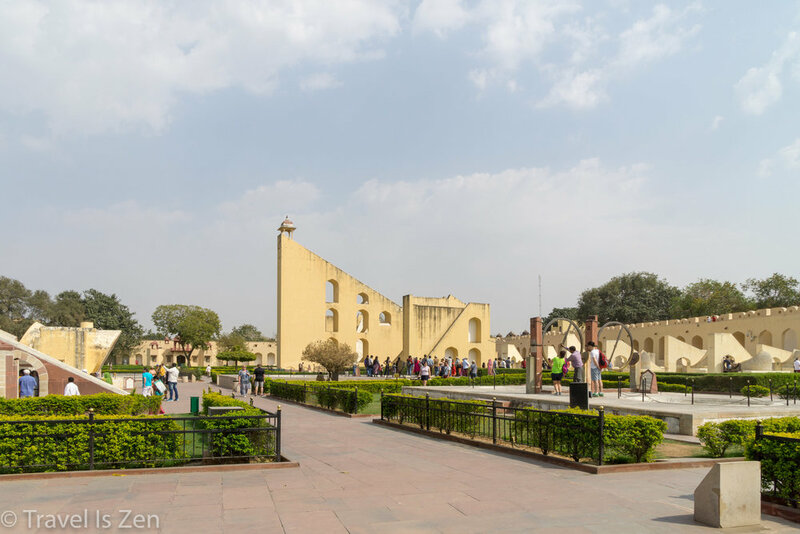 If you do hire a guide, hire an authorized tour guide from within Jantar Mantar (do not hire a guide on the streets outside the gate). The price is reasonable. Ultimately, though, we enjoyed reading the descriptions, analyzing the instruments and discussing our interpretation of how each worked.